Join, Renew or Update Member Info Today! Thank you for being a champion of student leadership and welcome to TASC's website. If you are a member, please take the time to update your profile in the Member Center upon login. If you have questions about TASC, please email Terry Hamm or call 512-443-2100 ext. 8517. For registration or membership questions, email Lori De Leon or call 512-443-2100 ext. 8520. 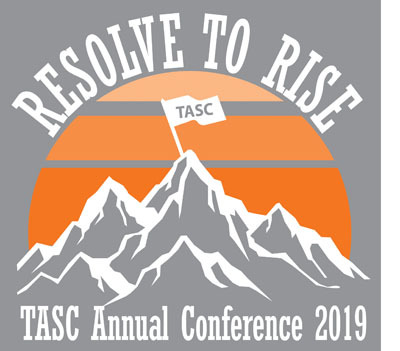 Since its organization in 1937, more than 1,200 secondary school student councils are members of the Texas Association of Student Councils (TASC). Membership and involvement in the association provide students and advisors with opportunities to develop the skills necessary to run an effective student council at the local level. TASC builds leadership abilities in students and advisors, promotes civic engagement, and develops strong councils at the local level. Join 5,000 StuCo leaders in Arlington as we come together to celebrate accomplishments, elect officers, and attend sessions on leadership and student council issues. The conference includes a catered meal and a night at Six Flags Theme Park as well as many exciting speakers and activities. Every minute of the conference will be packed with activities, exhibits, assemblies, and workshops to encourage attendees to grow in leadership.